Signed by politicians from the right and left, as well as Jewish, Muslim and Catholic leaders, the declaration asks that "the verses of the Quran calling for the killing and punishment of Jews, Christians and unbelievers be [denounced as] outdated by theological [Islamic] authorities, as were the incoherencies of the Bible and the Catholic anti-Semitism abolished by Vatican II, so that no believer can rely on a sacred text to commit a crime." "He [Abbas Shoman, Deputy to the Grand Imam of Al Azhar] also asked the signatories of the manifesto to understand that the Quran is the right way and "if they insist on their misguided understanding [of it], they should go to hell with their wrong understanding." — El Masry al Youm, Egyptian daily. One wonders how, after having been taught Islamic supremacy all their lives, imams could even try to understand such a manifesto. Sheikh Shoman's remarks may just indicate his own indoctrinated anti-Semitism. Saying that "Islamist violence has nothing to do with Islam" does not make it so. Like or not, it does. Al-Bukhari (3593) and Muslim (2921) narrated from the hadith of Ibn 'Umar (may Allah be pleased with him) that he said: I heard the Messenger of Allah (blessings and peace of Allah be upon him) say: "The Jews will fight you and you will prevail over them, then a rock will say: 'O Muslim, here is a Jew behind me; kill him.'" "They have certainly disbelieved who say, " Allah is the third of three." And there is no god except one God. And if they do not desist from what they are saying, there will surely afflict the disbelievers among them a painful punishment." (Quran 5:72) Sahih International translation. "O you who have believed, fight those adjacent to you of the disbelievers and let them find in you harshness. And know that Allah is with the righteous." (Quran 9:123) Sahih International translation. 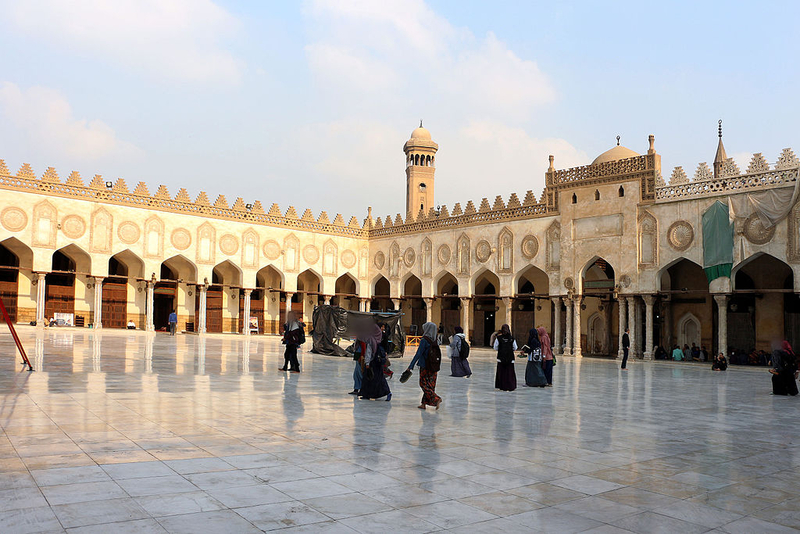 It was no wonder, therefore, that Egypt's al-Azhar University, the most influential school of Sunni Islam, was enraged by a call from many intellectuals in France to amend the verses in the Quran that disseminate anti-Semitism and hatred of non-Muslims. Recently, Al-Azhar condemned an open letter written by co-founder of the French satirical magazine Charlie Hebdo, Philippe Val, and signed by more than 250 French politicians and public figures such as former President Nicolas Sarkozy, three former Prime Ministers, elected officials, intellectuals, and artists, calling to reconsider outdated the Quran verses that provoke hatred and killing of Jews and promote anti-Semitism. Twelve members of Charlie Hebdo's staff, including its senior editor-in-chief, Stéphane Charbonnier, were murdered and 11 others injured by three Muslim extremists shouting "Allahu Akbar" ["Allah is the Greatest"], on January 7, 2015. The new manifesto, "Against New Anti-Semitism," which emphasizes the need for urgent action against the rise of anti-Semitism and recent increase in violent anti-Semitic attacks in France, was published in the newspaper Le Parisien on April 21. "In our recent history, 11 Jews have been murdered -- and some tortured -- by radical Islamists because they were Jewish," the manifesto said. In response to the manifesto, the Deputy to the Grand Imam of al-Azhar, Abbas Shoman, decried any calls for purging or considering obsolete any verses of the Quran and labeled such calls as "absolute ignorance," the Egyptian daily al-Masry al-Youm reported. 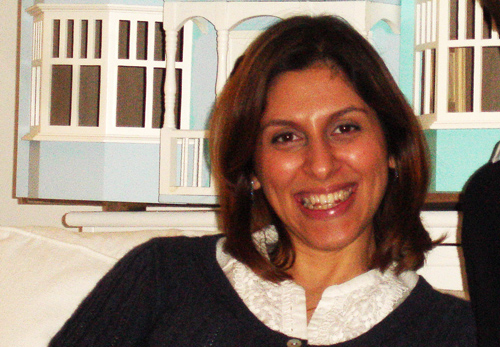 And in obvious taqiyya (dissimulation), Shoman denied that the Quran contains "any verses that command the killing of anyone that has not committed a crime that necessitates that, such as premeditated murder" and falsely described all "war and killing verses" as calling for justified self-defense and as verses of peace. He also asked the signatories of the manifesto to understand that the Quran is the right way and "if they insist on their misguided understanding [of it], they should go to hell with their wrong understanding." Notably, Sheikh Shoman overlooked that the French manifesto not only talks about the murder and abuse of Jews; it was also talks about the culture of anti-Semitism being promoted by dozens of Quranic verses. One wonders how, after having been taught Islamic supremacy all their lives, imams could even try to understand such a manifesto. Sheikh Shoman's remarks may just indicate his own indoctrinated anti-Semitism. Islam is not the only religious text that contains violence and anachronistic passages -- a fact highlighted by a few imams such as Tareq Oubrou, imam of the Grand Mosque of the southern city of Bordeaux. Yet, as has been noted elsewhere, Islam is the only remaining religion in which "people still live by" these texts, where violence is divinely sanctioned. "Fight in the way of Allah those who fight you but do not transgress. Indeed. Allah does not like transgressors." (Quran 2:190) Sahih International translation. Yet, it has often seemed easy to point to others as aggressors -- whether real or imagined -- to justify a "defensive" response and guarantee that the defense of Islam has been "just." The problem, of course, is that what constitutes an "aggression" is wholly subjective. While everyone has the right to defend oneself if attacked, justifications for what constitutes an attack have ranged from children naming a stuffed teddy bear Muhammad (the teacher, who was British, received death threats and served jail time) in the Sudan, or another teacher, in Spain, who was sued for having discussed ham, a major Spanish export, in class. The Catholic Church issued a declaration ( November 18, 1964) that unequivocally absolved the Jews of all times -- whether in the era of Jesus or in later days -- from the ancient charge of deicide, which meant abolishing incoherencies of the Bible and traditional Catholic anti-Semitism. Muslims strongly believe that the Quran, which forbids befriending "disbelievers" is the permanent word of Allah, the only God, hasn't and will never be altered or modified and should not be equated with other religious texts have been altered and distorted. "Let not believers take disbelievers as allies rather than believers." -- Quran 3:28; Sahih International translation. "French Jews are 25 times more likely to be attacked than their fellow Muslims. 10% of the Jewish citizens of Ile-de-France -- that is to say about 50,000 people -- were recently forced to move because they were no longer safe in some cities and because their children could not attend public schools anymore." We will never be able to understand Islamist violence in Europe, the Middle East, and around the world if political and religious leaders -- including al-Azhar and Pope Francis -- insist on saying that Islamist violence has nothing to do with Islam. Saying that "Islamist violence has nothing to do with Islam" does not make it so. Like or not, it does. As the Archbishop of Canterbury, Justin Welby, remarked in a November 2016 lecture at the Catholic Institute of Paris, "If we treat religiously-motivated violence solely as a security issue or a political issue, then it will be incredibly difficult -- probably impossible -- to overcome it." The archbishop also insisted that, "Until religious leaders stand up and take responsibility for the actions of those who do things in the name of their religion, we will see no resolution." In the west, if someone threatens me I can get a restraining order. But if that person, or those people are Muslims, to do that would be "Islamophobia." "Muslims strongly believe that the Quran, which forbids befriending "disbelievers" is the permanent word of Allah, the only God, hasn't and will never be altered or modified and should not be equated with other religious texts have been altered and distorted." Well, the same goes for the Old and New Testament. Neither devout Jews nor believing Christians want the biblical scriptures to be altered. With this manifesto, those French intellectuals have made a dash into the void: when important constituents are removed from a doctrine, its whole character changes. As long as the Koran remains as it was compiled, the orientation of Islamic doctrine is clear. The adoption and implementation of this manifesto would only result in the wolf re-emerging in sheep's clothing. A great sensational revelation ! Respected Islamic institutions, such as Al-Azhar can define what Islam is, or is not, as courts and judges can define and interpret law to mean what they want it to mean. They could certainly reform the mainstream of Islam by redefining and reinterpreting it into a less violent and supremacist form. But, first there have to be people in charge who recognize the present interpretation that Islam must rule the world, and be imposed on everyone by force, if necessary, as a problem. The people now in control see no problem -- they seem quite content with a policy of endless jihad to convert, subjugate, or destroy the infidels. To remove the hatred in Koran is to undermine the whole notion of jihad and deprive the Islamic manual of its essence. Obviously this can't be accepted. A. Z. Mohamed is incredibly brave and principled, and is to be applauded for his/her forthright honesty. Sadly, all the 'Useful Idiots' in the West, instead of learning from this intelligent person, will probably denounce him or her as 'Islamophobic'!